Other than the obvious GV1R & E11R effigy versions, how many different types of Police LSGC are there or is that it? Is there different Latin wording or anything like that? Early ones were in unplated nickel silver, while the current ones have rhodium plating. ​Thanks Robin! Now you mention it I can see what you mean, the GV1R examples I come across do look slightly different in finish, but I'd always put that down to their age. I've also just noticed that the GV1R version was only issued for about 2 years and yet there seems to be no shortage of them, I would have thought they'd have been rarer. Where as, there must be literally millions of the E11R version? 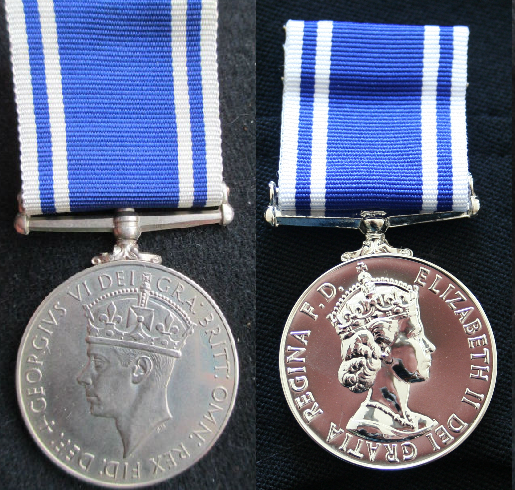 I wonder why they only started awarding the LSGC for police (regulars) in 1951, where as Specials examples go back to GVR? Does anyone know? Do any Edward VII examples exist I wonder? Believe this pretty much covers the various permutations of the Special Constable Long Service Medal. There are however, various examples of bars also issued. 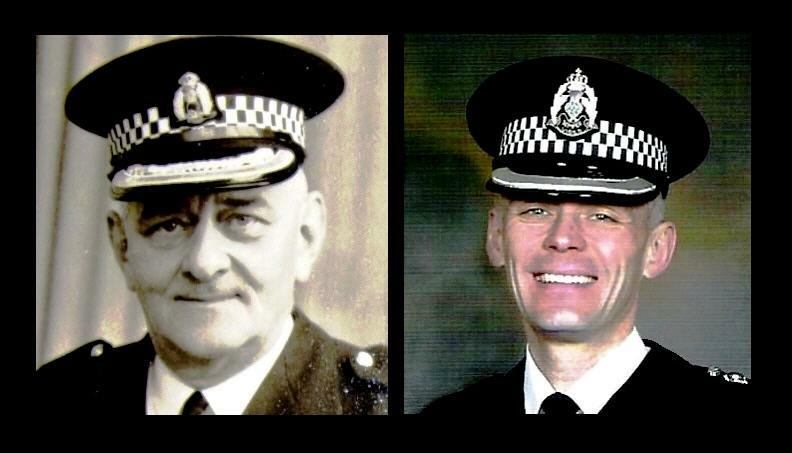 ................and here are the two examples of the regular police LSGC. I believe it also displays the "unplated nickel silver, while the current ones have rhodium plating", , referred to by Robin? But I maybe wrong there? Rhodesians used a similar pattern Special Const. L.S. Medal. Rhodium plating shines like a mirror. I was awarded mine in 2000 and it still looks as good as the day it was presented ................... no tarnishing at all. Rhodium plating was also used on the rims of the 1939 Iron Cross !! As a point of interest, my grandfather was awarded the GVIR medal when it was instituted and my father was awarded the EIIR medal in 1975. Both are in unplated nickel silver. So the rhodium plating seems to have been introduced well into the present Queen's reign. I would guess not long before the year 2000. The GVIR medal is MUCH rarer than the EIIR one, so should be worth a lot more, IMHO. I suppose Police medals in general just aren't in that much demand by collectors these days. And shown beside my private purchase 'wearing' copies on the right .................................. of poorer quality. Family tradition ....................... grandfather, father and son. And the day before retirement in 2008. Hallelujah !! Not only the medals changed over time ..................... the cap badges got bigger and better too !! Some variation in the wearing of the whistle noted. Thanks Robin for sharing all this information and photographs with us, it is greatly appreciated!!!!!! A pleasure to share a small part of my family history. One further question, I have if anyone can answer it for me? 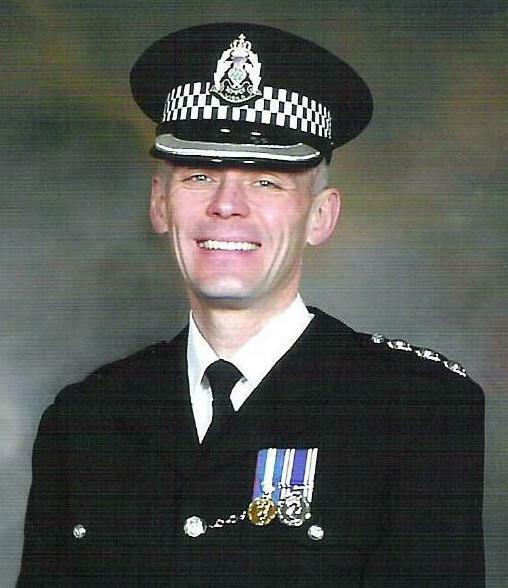 Is why doesn't the naming on the Police LSGC include the Force to the Officer served with? Good question. Probably just due to tradition. 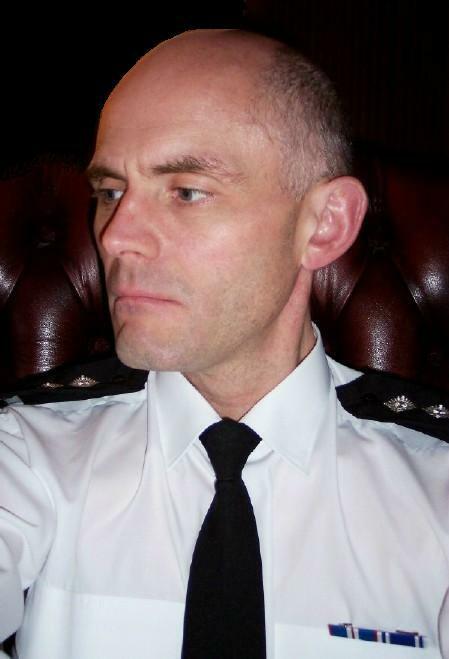 I have a 1911 Scottish Police Coronation Medal which just has 'P.C. J. Todd' on the rim ....................... no Force mentioned back then either. 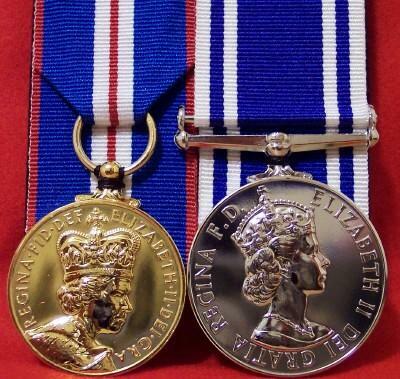 Each Force submits applications for it's eligible medal recipients on an annual basis, and the medals are duly delivered inscribed to the Force for local distribution. I suppose the 'powers that be' didn't deem it necessary to inscribe the name of the Force that the medals were being delivered to. Also ...................... it COSTS more to inscribe the name of the Force as well as the name of the recipient. Seems such a shame that the naming doesn't include the Force, the Officer served in.